Enjoy the natural beauty of unfinished solid American grown Tulip Poplar. 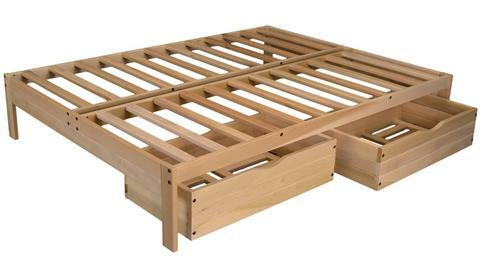 The Nomad Platform Bed is made from American grown wood in Georgia USA. Available in Twin, Twin XL, Full, and Queen sizes. We have been selling this product for quite some time and find them to be top notch quality. 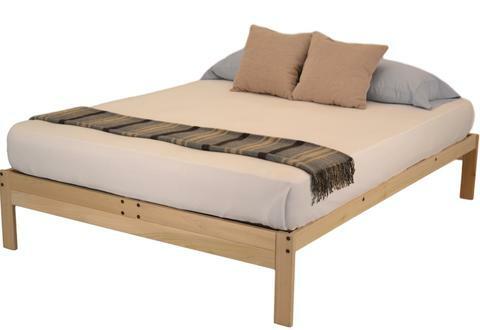 The Nomad 2 has a slat spacing of 4.5″ – for a slat spacing under 3″ to accommodate a latex or memory foam mattress, Choose the Nomad Plus Platform Bed. No box spring needed for this bed. Gallery shows bed with optional matching roll-out drawers. Bed image may not show the same size bed selected.